Atlanta’s Kayla Newman talks about her goal of breaking into the beauty industry. 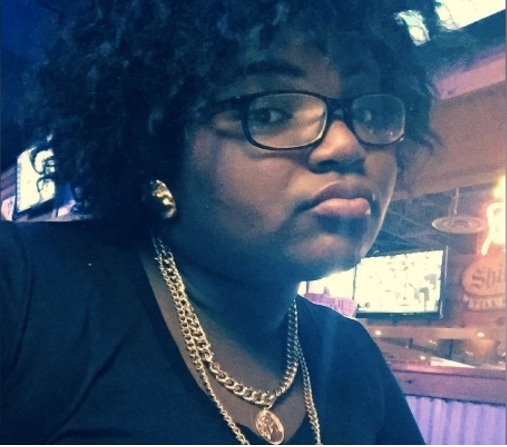 In 2014, 19-year-old Kayla Newman began making Vine videos as “Peaches Monroee.” While she was already known by peers for her sense of humor, her account wasn't made in the name of viral comedy skits — instead, Newman began uploading short clips from the passenger seat of her mother’s car in Chicago, documenting her daily musings. That June, she posted a video where she coined the phrase “Eyebrows On Fleek,” and to her surprise, it broke the internet. But while major corporate entities embraced and profited off off Newman's work, she remains uncredited and uncompensated for it. The FADER caught up with Newman to chat about her upcoming brand’s progress, the rise of the phrase “fleek,” and her determination to break into the beauty world as an “originator” in culture. Your GoFundMe mentions that you’re looking to start a cosmetics and hair extension line. Where did your passion and interest in beauty start? My passion in beauty started, well, for one, when I started wearing makeup. I started wearing makeup in my senior year in high school, and I couldn't really find my shade in foundation, stuff like that. But with makeup, I loved the creativity you can have with it: the lipstick, the lip gloss, I’m still learning some things. I just always wondered to myself, How do these girls walk out the house and be like, beat? Me and my mom still trying to figure this out, like, How can we do this? You know, the cut, crease, and all that. And with the hair, man, I wear nice extensions, so especially in high school people always asked me, Why don't you sell hair? That's something I'm good at. Everybody knows I have long hair, and long nails, and eyelashes. How did it feel to have that 2014 “Eyebrows on fleek” video to go viral? This phrase is everywhere but you’ve never received any type of compensation for it. How do you feel like this speaks to the ways in which brands operate, and what do your hope your brand will do differently? There’s nothing like when something comes from the originator. Everything is duplicated. Because [the phrase] comes from me, I feel like people will appreciate and wear my brand. That's why I feel my GoFundMe has grown, because people knew this phrase came from me. It was not something fake, I was not trying to be fraudulent with anybody — they knew this is something I should have been doing, and my followers have been really supportive. I really feel like my brand is due, and when everything comes to fruition people will love it and people will buy it! I want to make sure my brand is multicultural, because like I mentioned earlier, I could never find the right foundation for me. So I wanna make sure it's multicultural, to all people. The LGBT community — I want to make sure they're able to wear my makeup, my hair, and feel good about it. Like I said, there’s nothing like when it comes from the originator. How have people been responding to the GoFundMe? Have you been getting the support you need? Of course there has been some rudeness and negativity, but I don't really pay attention to that. For one, my followers attack them before I do — they get on there and defend me, which is really incredible. I understand now, when famous people or celebrities be like, My fans, and My supporters, because that's what I feel like I have. How else can your supporters help you other than financial contributions? Do you look to join forces with anyone to collaborate on your products? My mom and I have been getting stuff going and working on the website — right now we're just like searching and searching for the cosmetics. The hair should be launching sometime in April, but I really want to collaborate with someone on cosmetics. I want people to see my video and be able to be like, Oh, she has a cosmetics line too, for eyebrows! It can be hard sometimes though when you get emails with people wanting to help. Some of them have been fraudulent, some of them have been legitimate. I would love to work with someone here in Atlanta. Atlanta is the home of makeup, hair, fashion, all of that. So if someone from out here could help me, that would be so appreciated. Now that I think of it, it would be cool to work with one of the Atlanta Housewives! [Laughs] They're all entrepreneurial black women, all willing to build their brands and tackle new projects. They’ve always got something going on.